24 7 Victoria - Lifestyle Blog | It's My Life, Don't You Forget. 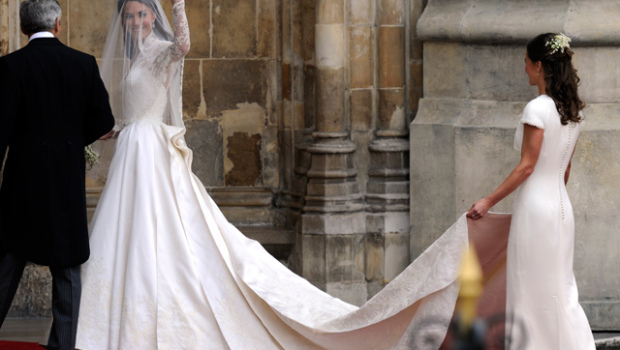 I had no intention of watching the Royal Wedding this morning but when I woke a little after six o’clock this morning, I turned on the television and saw Princess Kate’s beautiful Alexander McQueen wedding dress designed by Sarah Burton, creative director of Alexander McQueen. Princess Kate’s wedding dress looks like a modern version of Princess Grace’s beautiful wedding dress. And like Princess Grace, Princess Kate looked beautiful on her wedding. So did her sister Pippa who wore a beautiful form fitting cowl neck gown. I’ve been asked a bunch about the dress I’m wearing in my Twitter avatar and Facebook page. Wait … you aren’t following me on Twitter and haven’t ‘liked’ me on Facebook yet? You have got to go do that right now. I’ll wait. In June 2009, I threw a Quince party for myself. Similar to a sweet sixteen or bat mitzvah, a quince is held to celebrate a fifteenth birthday. I didn’t have one when I was actually fifteen so I figured that year was the right year for a birthday party fit for a princess. I planned an evening with fourteen other ladies for dinner at Dos Caminos and dancing at Santos Party House. The Betsey Johnson Burnout Stripe Organza Strapless Dress I am wearing in my Twitter avatar was the perfect “teen” dress for me to wear on my big day turned night turned day again. I paid close to $400 for my quince dress and wore it only once. A few weeks after my birthday it found a new home. I gave it to a charity that provides prom dresses to girls who cannot afford them.